Donnie says that "Banjo" Matthews wasn't just one of his car owners. 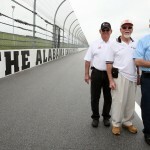 He was also a teacher, a friend and one of the most knowledgeable racing men he ever met. 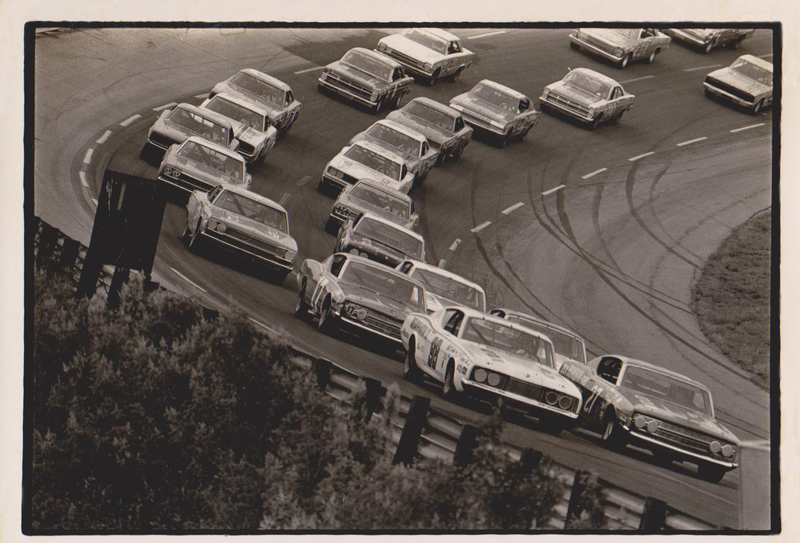 One of the best shots you'll ever see of Donnie driving the No. 27 "Banjo" Matthews Ford. 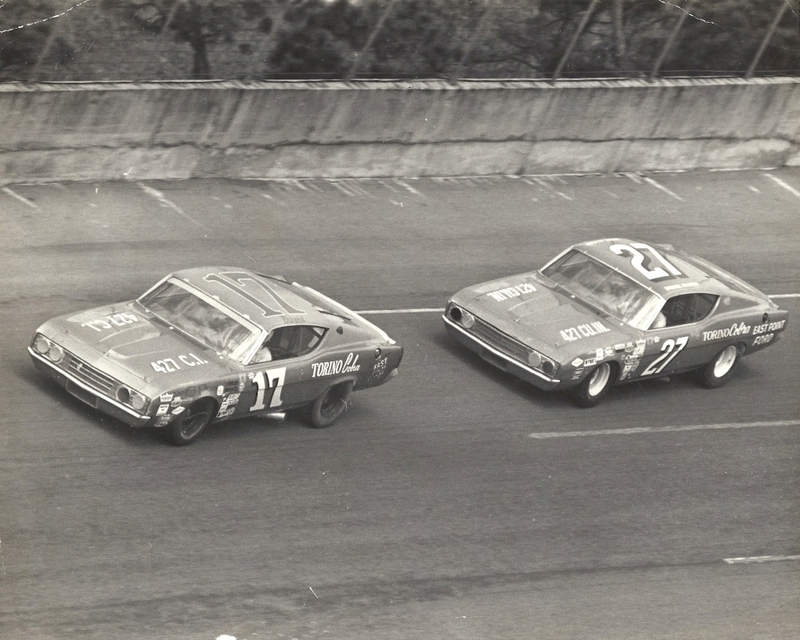 Donnie chases David Pearson on the high banks of Daytona International Speedway during the 1969 Great American Race in a Banjo Matthews prepared Ford. 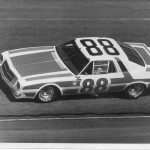 Donnie ran a total of 52 races in the "Banjo" Matthews No. 27 ride from early 1968 to early 1971. 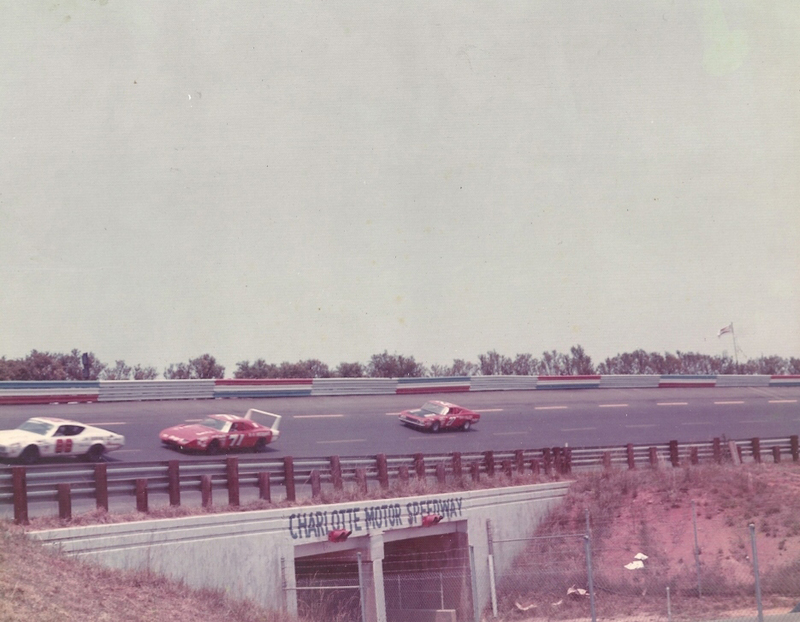 Charlotte Motor Speedway was a great track for the "Banjo" Matthews-Donnie Allison combination. 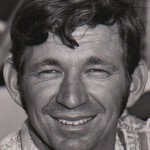 In their six races together there in 1968 to 1970, Donnie started one the pole twice and third another time and won two races and finished second in two others. 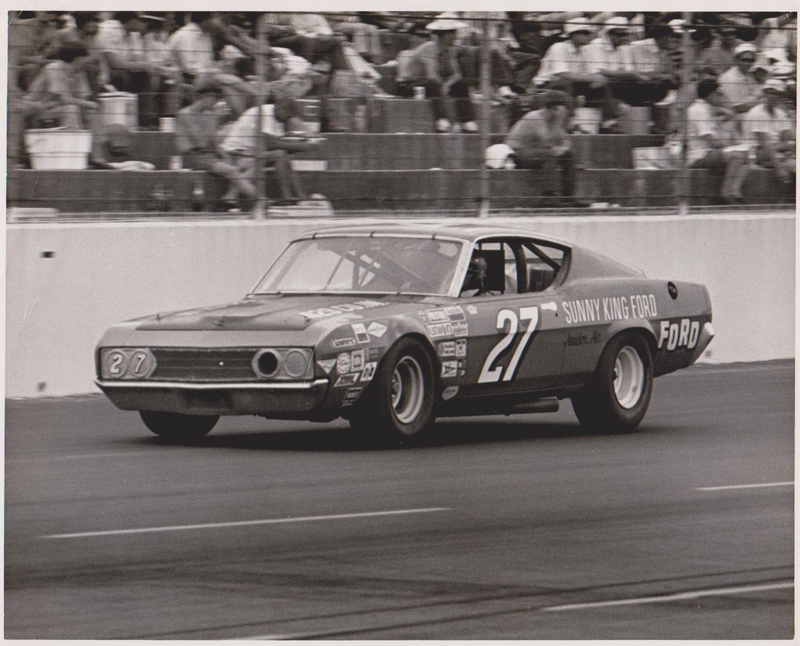 This is Donnie en route to his World 600 victory at Charlotte Motor Speedway on May 24, 1970 in his "Banjo" Matthews-prepared Ford factory ride. In his day, "Banjo" Matthews wasn't just a car owner and chief mechanic. 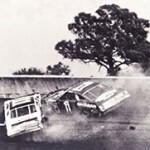 He also went over the wall as a tire changer as shown here. Donnie leads the field to the green flag from the pole position in the No. 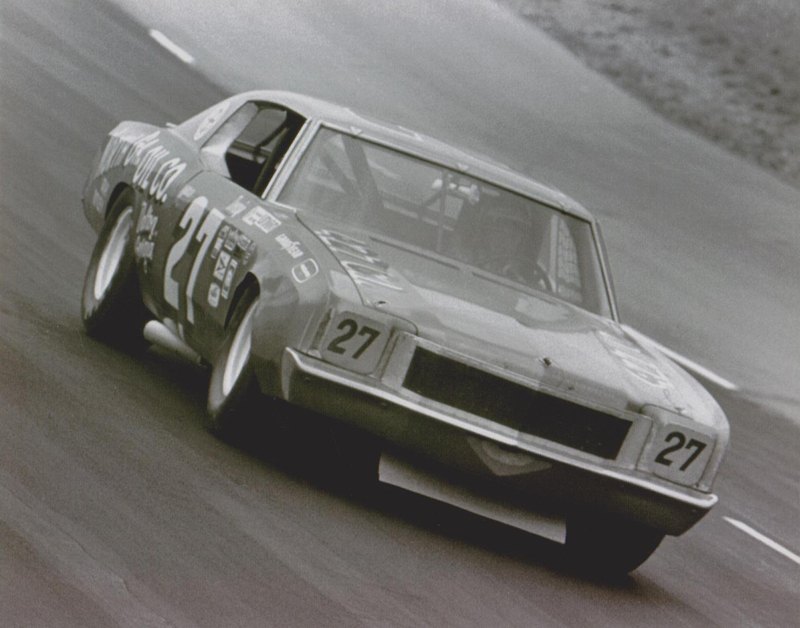 27 car. 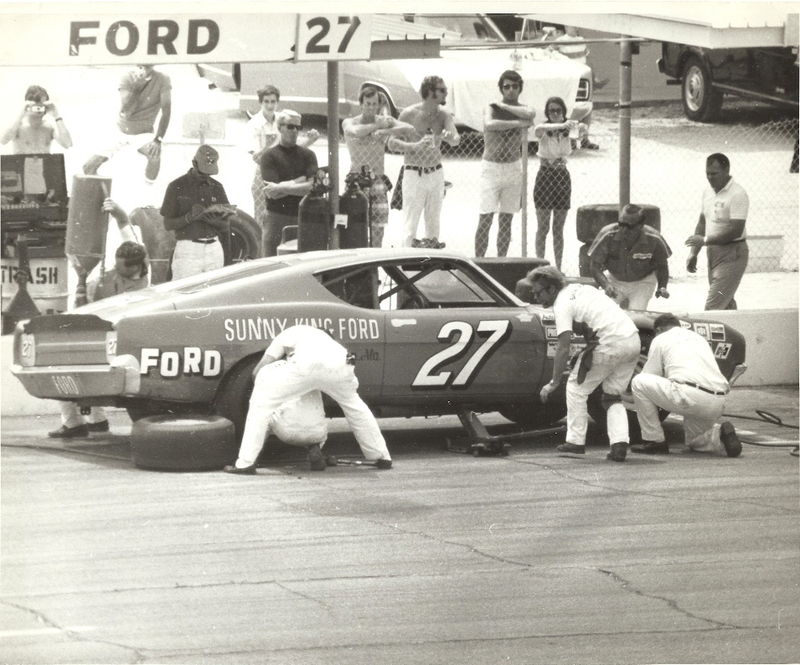 Donnie pulls into his pit stall as his pit crew, led by car owner "Banjo" Matthews with the air wrench prepares to change the right front tire. 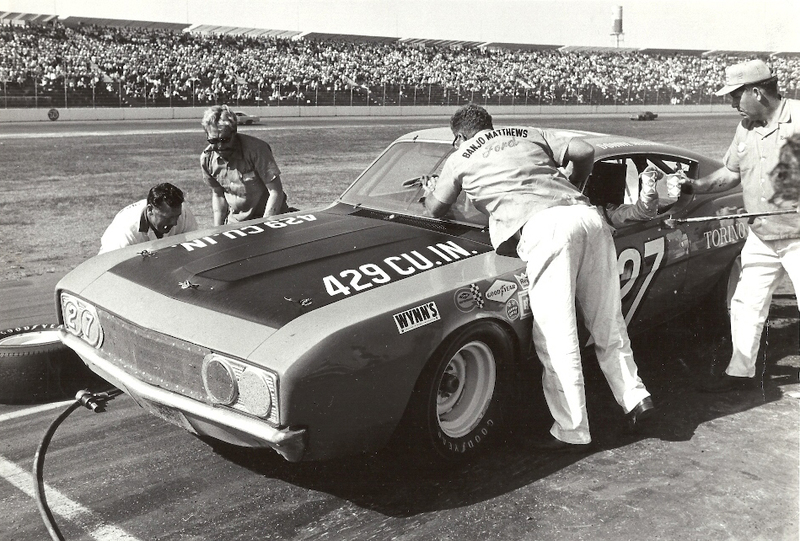 Note that the tire carriers is carrying a tire under each arm as he rushes to get into position. With the right side in the air, the tire changers go to work on the No. 27 car. 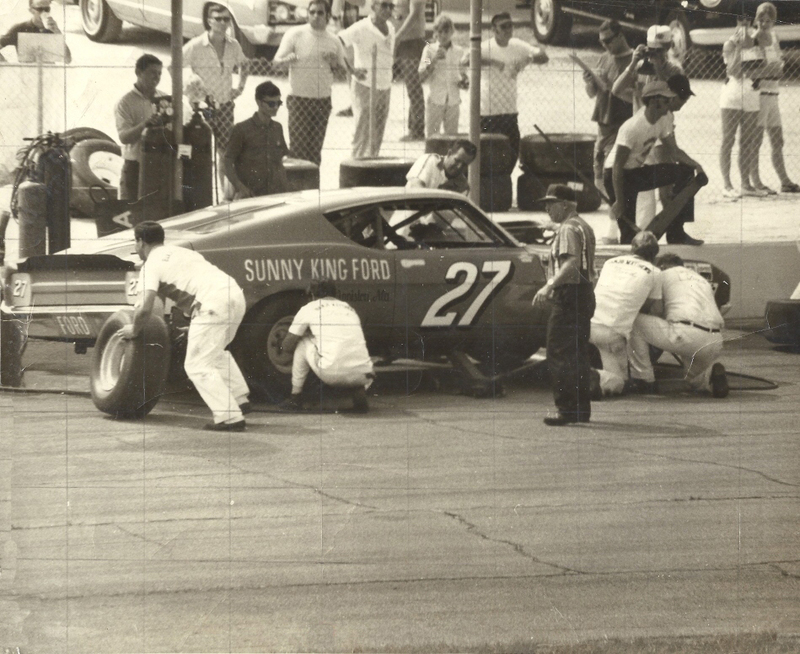 The jack man helps "Banjo" on the front right while the rear tire changer snugs up the lug nuts and another crew member cleans Donnie's windshield. 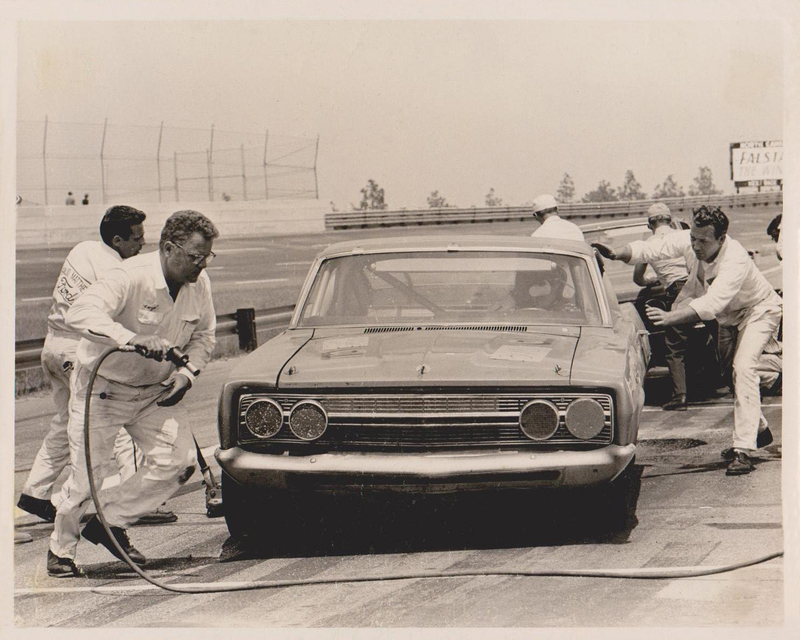 We're not quite sure what the gentleman in dark pants and dark pants is doing but our best guess is that he's a NASCAR official checking to make sure they get it all right. 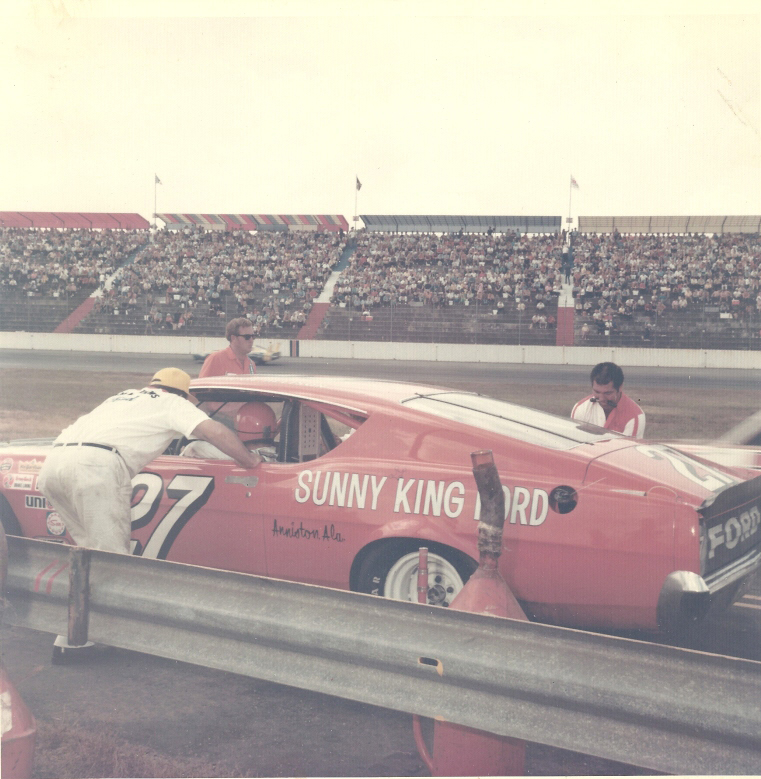 Sunny King was a well known owner of various car dealerships in Anniston, Ala., and a long-time sponsor of "Banjo" and Donnie's No. 27 ride. 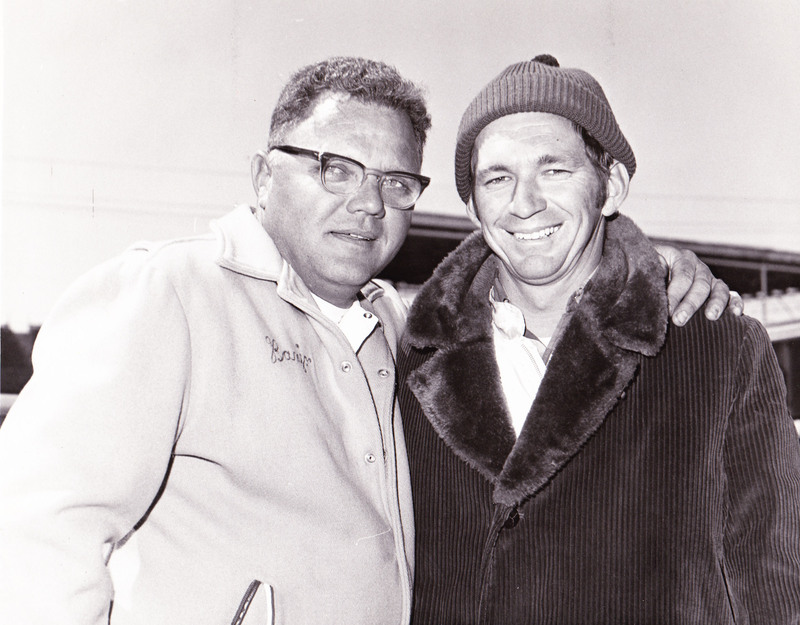 This is actually a mural of Donnie with Sunny and the car that currently hangs on the wall of the Sunny King Ford dealership located on Quintard Avenue in Anniston. This view of the NO. 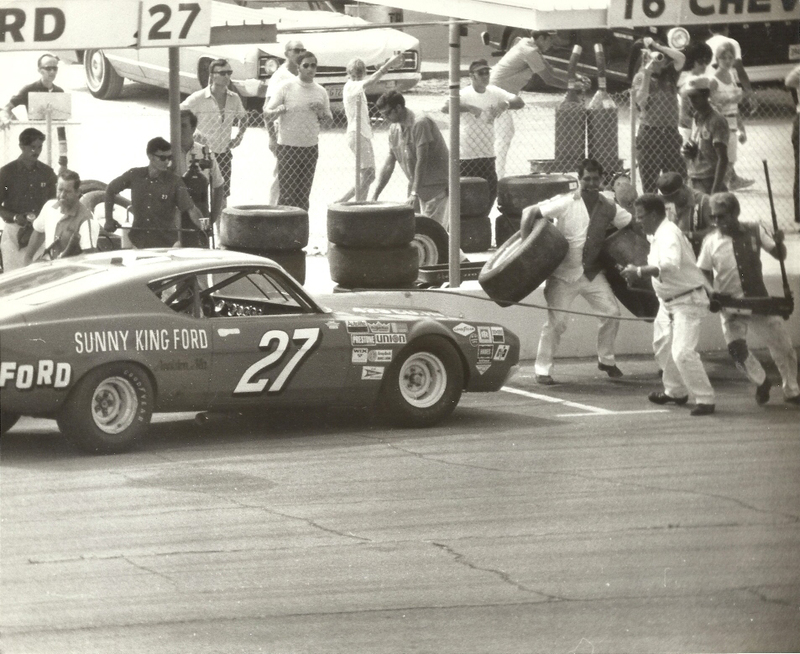 27 car in the pits clearly shows the Sunny King logo on the rear quarter panel.